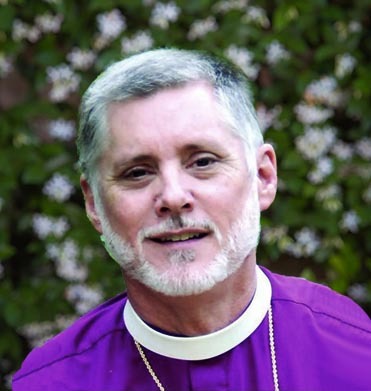 The vestry is very excited to announce the calling of the interim rector of St. John the Divine, Bishop Gary Lillibridge. Bishop Lillibridge has a message for the congregation that you will find below. In addition to the Bishop's letter, we have produced a set of Frequently Asked Questions (FAQ) about his upcoming position. Please join us and the entire staff in welcoming Bishop Lillibridge. I want to begin this message by thanking your vestry for their invitation to serve as your interim rector, which I will begin on January 3rd, and for the welcome I've received from your clergy. Bishop Doyle called me several weeks ago about the possibility of serving, and since that time I have had a number of phone calls with your leadership as well as a visit to Houston to meet with the vestry and the staff. By way of introduction, I retired as the Bishop of West Texas in July, 2017. I served that diocese as a bishop for almost 14 years, having been elected in October of 2003. I was ordained a bishop in February, 2004. I was born and raised in San Antonio, and have always had a close association with Houston. 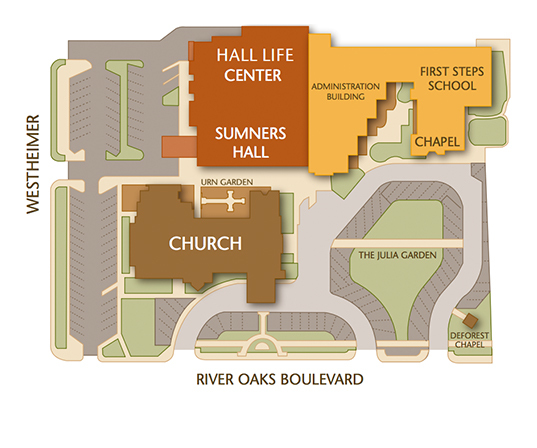 We have many friends and some extended family who live in and around the Houston area. My first memory of Houston comes from when my father brought me to see the Houston Colt .45s in 1962, before they became the Astros (I was six). I have attended many games over the years and continue to be a big fan. Since their World Series title in 2017, I no longer need to describe myself as a "long suffering Astros fan." Hallelujah! I began my ordained ministry in 1982, and served congregations in Corpus Christi, Del Rio, Brownsville, and San Antonio. I also served for four years as Archdeacon of the Diocese of West Texas. All of the congregations I served included a day school as part of the ministry of the church, and my undergraduate degree is in education. Last spring, I served as the interim rector of St. Thomas Church and School in San Antonio, and am delighted to now serve your congregation and its parish school. On a personal note, Catherine and I have been married for 33 years and we live in San Antonio. We have three grown children, two daughters and a son. I have long appreciated the kinship shared between the Diocese of Texas and the Diocese of West Texas. I know a number of the clergy of this diocese and your past and present bishops, and I look forward to working with your clergy in particular. In addition, I have been very impressed with the whole staff of St. John the Divine, and this is one of the main reasons I accepted the invitation to serve as your interim rector. As an interim rector, my job is to help the parish through the transition process and to help maintain the worship and service life of the parish during that period. My initial commitment to serve you is through July, as I have a long-standing commitment to a summer chapel in Maine that goes from early August to the middle of October. This will be our eighth summer to return to Maine. There will be plenty of time to get to know one another in the weeks ahead, but I wanted to send you this brief message and wish you a blessed and holy Advent and Christmas. It is the season of the Church year where we are reminded again of Mary's words that her soul "magnifies" the Lord (Luke 1:46). This comes with my best wishes and prayers that each of you may find many ways to also "magnify the Lord" in thought, word, and deed. A town hall regarding Clay Lein's departure and St. John the Divine's transition was held on Sunday, November 25, 2018. A video recording of that meeting is below.